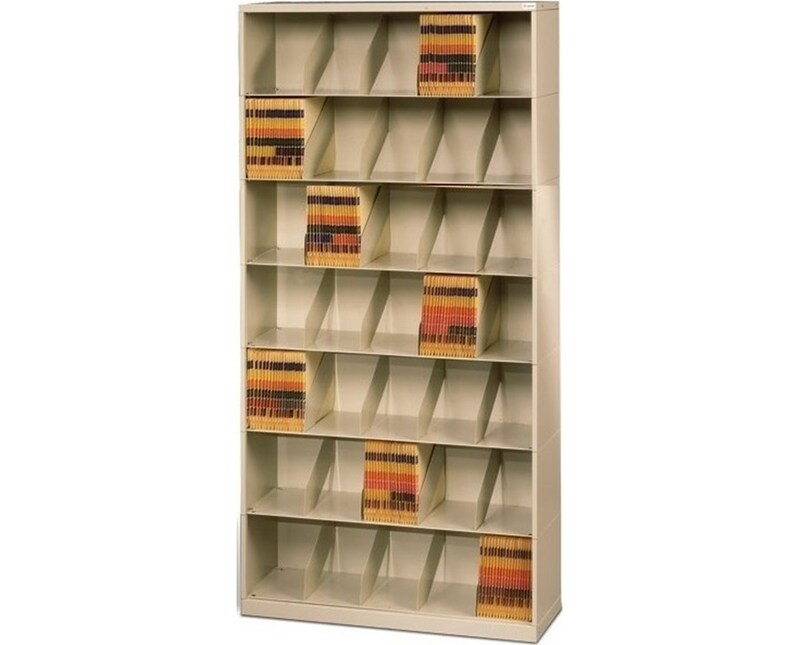 The versatile ThinStak® Letter Open Shelf Filing System from Datum Storage helps keep your medical documents organized and accessible while taking up a minimal amount of floor space. This model has 7 tiers. Specifications: The tiers with movable plate dividers are 11" high with a 10 7/8'" inside clear opening and with the fixed dividers are 10" high with a 9 7/8" inside clear opening. 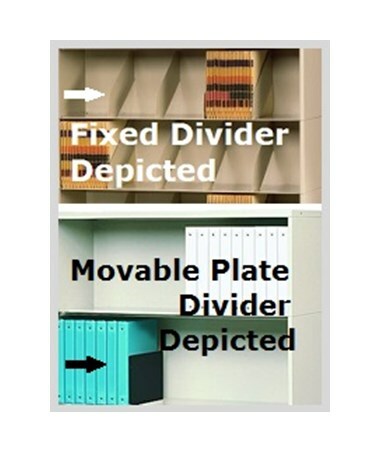 The overall height for the unit with the movable plate dividers is 80" and for the one with fixed dividers is 73". The depth of the unit is 13-3/16" and the overall width is customizable. The powder coat finish is an environmentally friendly, attractive, uniform finish that is scratch and corrosion resistant. Each customizable model has a different amount of LFI (Explained below). 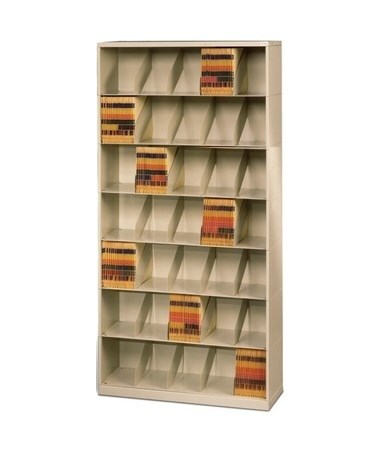 Height Fixed Dividers: 73", Movable Dividers: 80"
Product Weight 98 - 186 lbs.